Dr Mario Wais (Dentist) is our principal dentist and mentor to our dental professionals. He has been practicing dentistry since 1990, relocating to Australia and re-completing dental school at the University of Adelaide in 1999. As a preventative dentist, Dr Mario is keen to promote therapeutic methods that preserve natural teeth and reduce the risk of unwanted side effects such as tooth loss and gum disease. He is a member of the Australian Dental Association and fluent in Spanish. Dr Mario holds a special interest in treatments like crowns, bridges, root canal therapy and cosmetic dentistry. Over the course of his professional career he has completed over 600 hours of continuing education, specifically in areas such as oral implantology, pain control/hypnosis, and sedation dentistry. 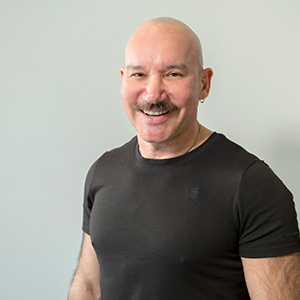 As the principal dentist in our practice, Dr Mario devotes a tremendous amount of time mentoring and training new dentists in key areas of patient care, preventative treatments and pain control. His guidance allows him to promote a shared vision throughout not just our own practice, but the dental industry as a whole. He tells his trainees to “be the dentist the patient needs; don’t try to create the perfect patient for yourself.” Through his coaching, he trains practitioners on how to better communicate with their patients, fully meeting their needs and expectations. In his time away from work, Dr Mario enjoys the Argentinian tango and latin salsa. He also supports the local Children’s Hospital, Muscular Dystrophy association, the Cancer Foundation, and many others. For patient-cantered, preventative dentistry, request your appointment today!